This technical guide is designed to help inform and improve grazing management in the Mitchell grasslands of western Queensland. It focuses on four major themes: managing stocking rate, spelling pasture, burning and developing the property with more fences and waters. The guide is a technical resource for use by those working with producers to improve the management of grazing lands for beef production. Compiled by David Phelps, Department of Employment, Economic Development and Innovation, 2012. 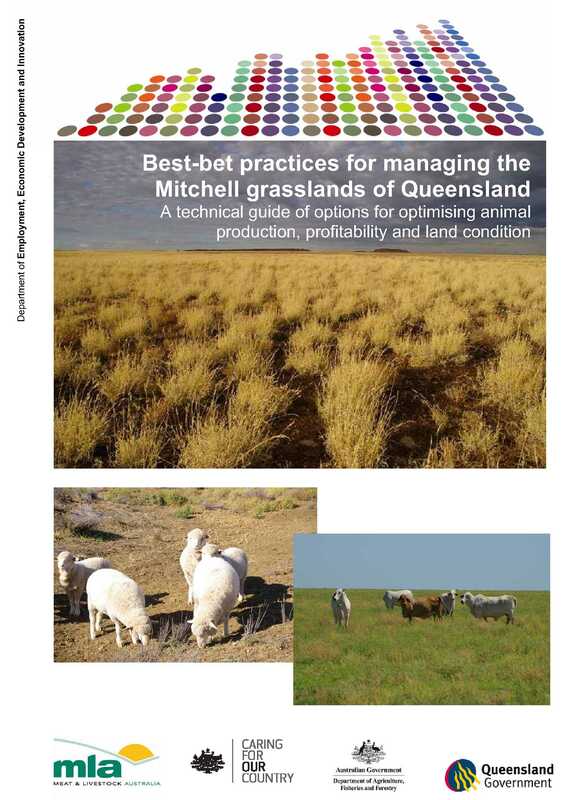 Download a copy of Best-bet practices for managing the Mitchell grasslands of Queensland: a technical guide of options for optimising animal production, profitability and land condition (PDF, 1 MB).